Sophie has been a Care Worker with (Redcar & Cleveland) for almost 2 years and during that time has built up excellent trusting relationships with her set group of clients and is seen as part of their family. She demonstrates professionalism and adherence to the Caremark policies and procedures at all times and although she works alone most of the time, shows good team spirit and will support her colleagues, covering extra calls if she is needed so that the clients receive consistent care and support. "I am a stroke survivor...without the care, devotion and friendship of Sophie my whole positive attitude would be in jeopardy. Sophie has been my rock, helping me to retain my dignity in difficult situations. Within the confines of professional care, we have built up a rapport over the last couple of years which enables me to progress and remain happy. My family too are eternally grateful for all the care, kindness and devotion given to me by Sophie. Thank you, from one happy young man!" 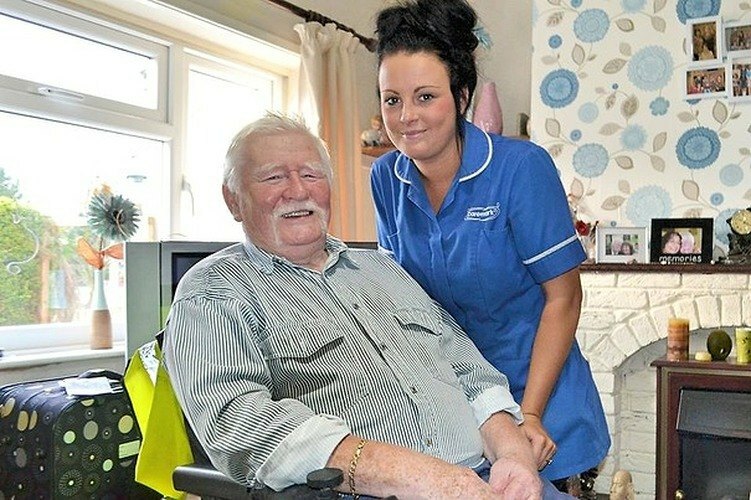 Visit the Caremark (Redcar & Cleveland) website for more information on their home care service.